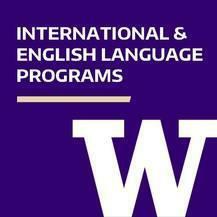 The University of Washington features one of the largest, most established international and English language programs in the United States. We offer a wide variety of programs for both undergraduate and graduate students to help you improve your English language skills, prepare for further study in the United States and learn about American culture, business and other subjects. Join us on the vibrant UW campus, where you'll meet Americans and study with other students from around the world at a top-ranked university. Enroll in a program that lasts for just a few weeks or take one that extends for several quarters or a whole academic year. The Communication & Culture Track of the UW Intensive English Program (IEP) is intended for students who want to improve their English language fluency and learn about American culture. In addition to taking classes at the UW Seattle campus and/or at the university’s downtown location, you will take a variety of field trips to local cultural attractions. This advanced-level preparation course will help you gear up for the IELTS by teaching you various strategies and developing your reading, writing, listening and speaking skills. Prepare for this Internet-based test – sometimes called the TOEFL iBT – by working on your English skills, learning test strategies and taking short practice tests. In keeping with the design of the TOEFL, this course emphasizes the integration of two or more skills, such as listening and writing or reading and speaking.